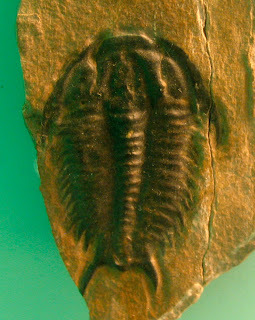 A Modocia typicalis trilobite fossil of the Cambrian Period (570-500 million years ago). Fossil was found in Utah. Picture below of a Tricrepicephalus corri Cambrian Period trilobite fossil found in Utah. 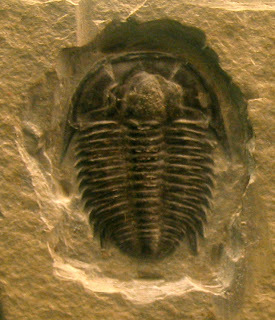 Both fossils were on display at the Smithsonian National Museum of Natural History (August 2010).